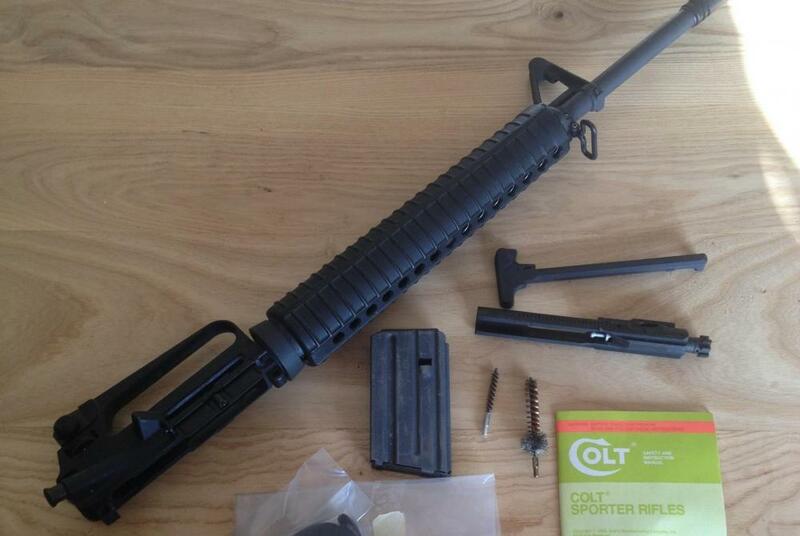 Very rare colt 222 rem complete upper. These uppers were in repose to Canada's need for a m16 variant that is chambered in a round with the capabilities to shoot farther with increased stability then the .223/5.56 round. This upper is very rare. It is a A2 hbar configuration, no bayonet lug, 20" barrel. CMB upper, C marked bolt carrier, MPC marked bolt. Colt .222 magazine with manual, sling, and 2 cleaning brushes. Upper is in overall very good condition, this is one scuff on the upper receiver on the forward assist housing. Please let me know if you have any questions or need any other pictures. Check out my other listings. Fast shipping. Payment can be made by USPS money order or check. If USPS money order is used I can ship same day. No pay-pal because they are anti-gun.